A series of studies conducted in 2002-09 at the Stanford Center on Adolescence (surveying over 1,200 subjects and published in various academic journals) found that only about 20% of young people between 12 and 26 have a clear vision of where they want to go, what they want to accomplish in life, and why. Only 27% of college graduates work in a job related to their major within just a few years of graduation. The truth is, most people don’t have a singular motivator that drives all of their life decisions. The article concludes, “If you don’t know what your passion is, that’s great news. Because you don’t have to know “what to do with your life”—you only have to do what’s next. Be curious. Try stuff. Think like a designer and build your future, prototype by prototype. The most important decision any of us make is who we marry. Yet there are no courses on how to choose a spouse. There’s no graduate department in spouse selection studies. Institutions of higher learning devote more resources to semiotics than love. The most important talent any person can possess is the ability to make and keep friends. And yet here too there is no curriculum for this. The most important skill a person can possess is the ability to control one’s impulses. Here too, we’re pretty much on our own. These are all things with a provable relationship to human happiness. Instead, society is busy preparing us for all the decisions that have a marginal effect on human happiness. There are guidance offices to help people in the monumental task of selecting a college. There are business schools offering lavish career placement services. There is a vast media apparatus offering minute advice on how to furnish your home or expand your deck. To get information on private affairs, you have to go down-market to Oprah or Dr. Phil. Why are they the ones who have access to information on meeting life’s vital needs? 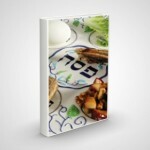 The Torah teaches that it is a mitzvah to be happy, and therefore it must be possible to achieve. How? Judaism has a number of practical approaches to being genuinely happy. These approaches are not the hedonism and self-indulgence that are so popular in the West, but rather they are grounded in an appreciation of the opportunities within life itself, knowing that each moment can be infused with meaning and utilized to move closer to building a relationship with God and realizing our goals in life. An indication of the importance that Judaism attaches to joy is seen by the fact that biblical Hebrew contains close to ten synonyms for happiness! With all the material wealth people possess, why are they not happier? Does Judaism offer anything to add happiness to my life? What is the connection between the meaning of life and happiness? Are there practical exercises to help one become happier? How can the mitzvot contribute to a person’s happiness? How can one avoid obstacles to happiness such as worry and jealousy? 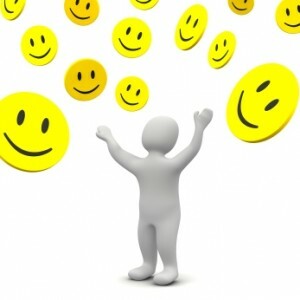 Click here for NLE Morasha Syllabus shiur on the Jewish Vision of Happiness.